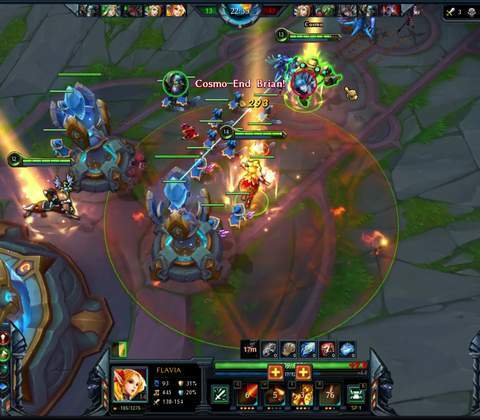 Free to play MOBA - Pick a hero and take on the world in this good MOBA that challenges the status quo with some fresh ideas in a familiar genre. 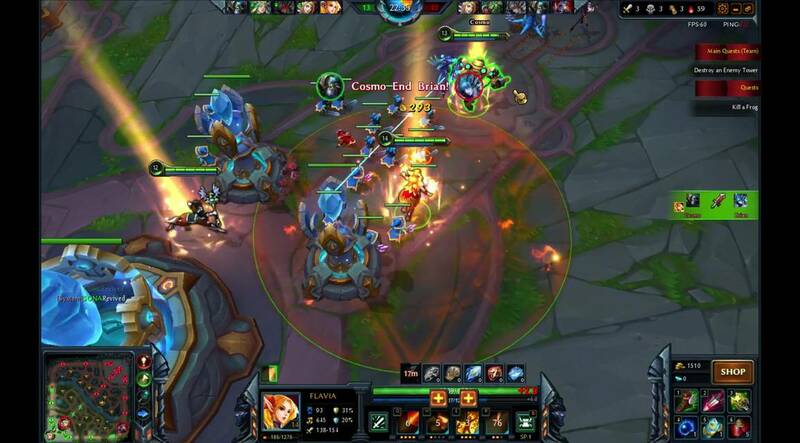 A new MOBA game appears every so often that tries to challenge the established titles, and many have sunk under the weight of player expectations. At first glance, Heroes Evolved seems to ride the success of games that paved the way for MOBAs, But there’s more than meets the eye when you spend enough time in it. Read our full review below to see what it offers. 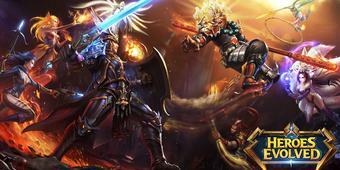 The look and feel of Heroes Evolved's gameplay will be instantly recognizable. 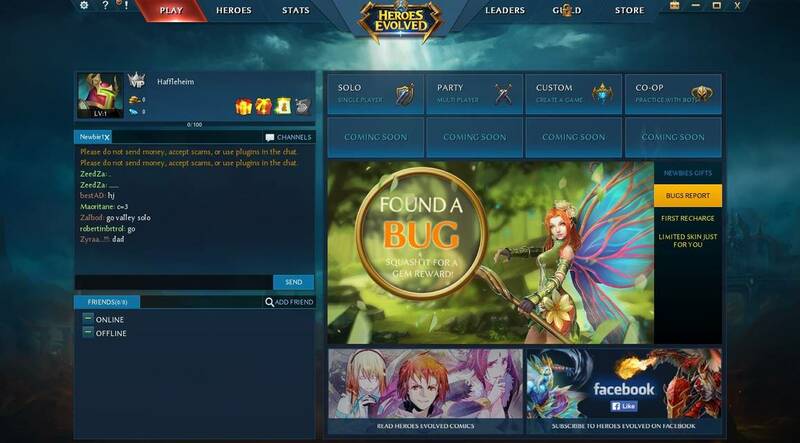 Players will no doubt feel at home with Heroes Evolved, as the MOBA mechanics are standard if you’ve ever played a match in any of the games out there. For newer players, the in-game tutorial does a stellar job of introducing you to the game in less than 5 minutes. Matches take place on two maps, the first being the Alter of Strife which is the usual 5 vs. 5. 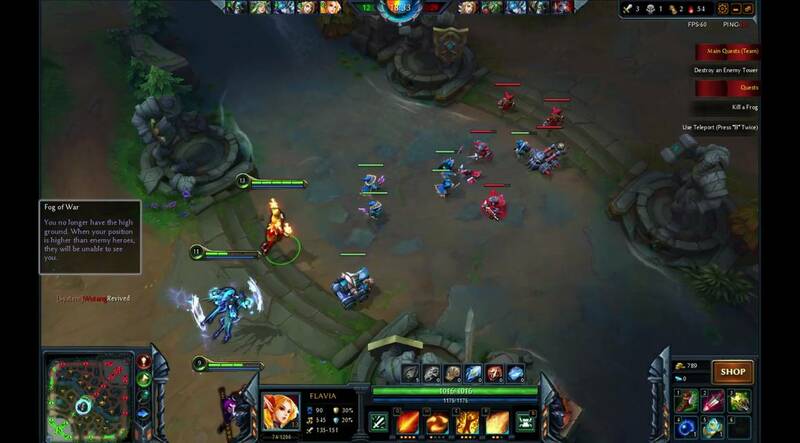 The objective of the match is for one team to destroy the Aegis that is located in the opponent team’s base. The map bears a lot of resemblance to Dota, and comes complete with three lanes, rivers, jungles and the animals that players can farm to receive hero boosts. To move your hero, simply right clicking on the spot you wish to move to will get the job done, while right clicking enemy minions and heroes will attack it. The concept of getting the killing blow for gold also applies, so experienced players will have no trouble fitting in. The second map is called Valley of War and introduces a single lane that guarantees some crazy fast paced action with a catch – the heroes you play will be chosen at random. Winning matches will earn you gold which can be used to buy things from the in-game store such as new heroes, hero skins and custom player banners which will display on the screen every time you kill an opponent (Think Guild Wars 2’s PvP banner). While it’s nice to see familiar mechanics, the new ideas the game introduces are actually good. Heroes Evolved tries to evoke a sense of hero progression that we normally see in RPG games through the Glyph system. 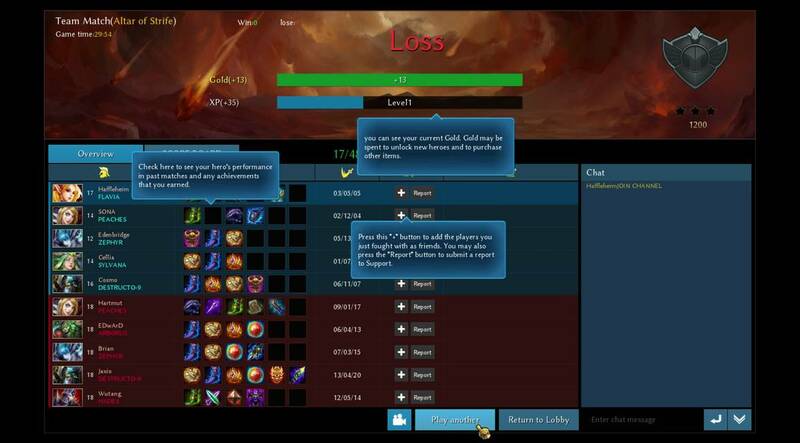 At level 5, players can start equipping various different glyphs to give them some form of advantage in matches. These include boosts such as extra gold drops, faster attacks, and even more damage per attack. 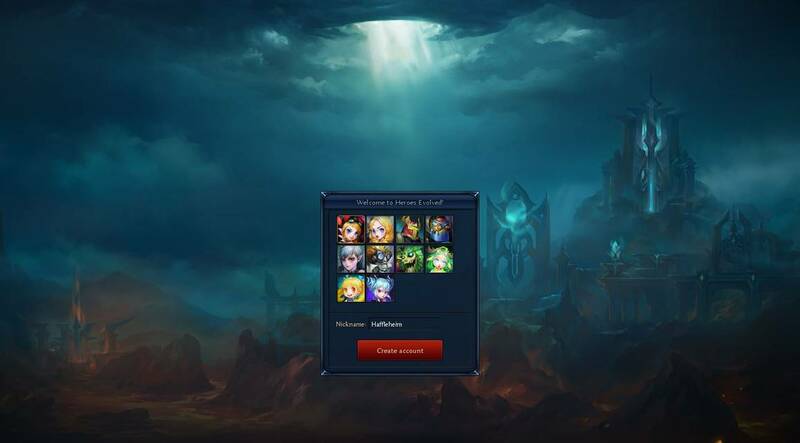 The system works and it’s great to see a MOBA game offering players some customization options for their play style and heroes beyond just skins and outfits. There are over 50 different heroes that players can choose from, and each is individually unique with custom outfits, weapons, abilities and comes fully voiced. There are some heroes that are replicas from its competitors such as the monkey god Wu Kong, but that’s forgivable as the abilities are different. 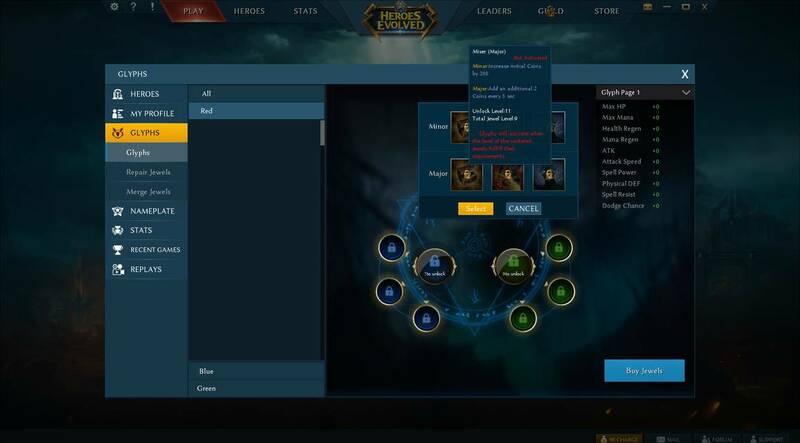 As a new player you will have access to a limited amount of heroes but can purchase more from the-in game store at a fair price. The game also rotates heroes weekly, which gives players a reason to play often to check out new heroes and experiment with play styles if they don’t want to spend gold or gems. The Glyph system introduces some a new way to plan for matches. Unlike other MOBA’s that forces a ton of items and stats down your throat, Heroes Evolved keeps things simple by simplifying the main attributes for heroes. There’s the primary attributes consisting of strength, agility and intelligence, and then there’s the secondary attributes which includes physical and magic defense. The simplified stats keeps the shop less cluttered and more organized, making it easier to find and buy items in a hurry. 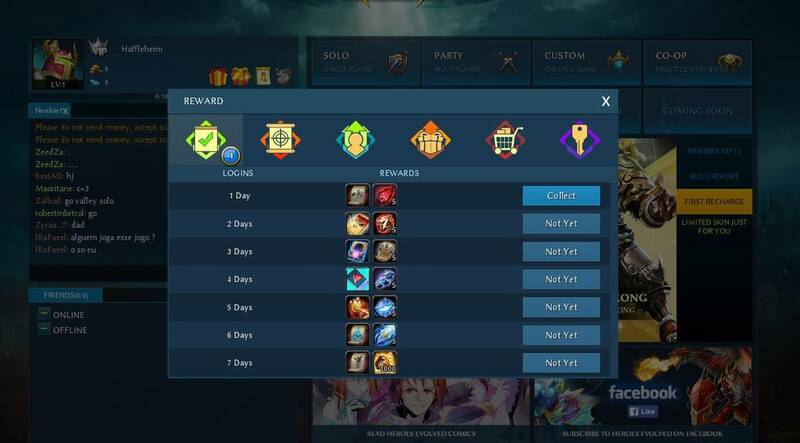 Any game that rewards players for simply logging in and achieving milestones gets thumbs up, and Heroes Evolved certainly rewards its players well. You can earn gold, gems and other goodies for simply logging in weekly, with a big prize waiting at the end of a 30-day log-in period. Even better is how the in-game store does not obstruct your progress and the game never forces you to visit it if you don’t want to. Everything in the store except for some event only heroes can be purchased using in-game gold, so unless you really want something immediately, there’s no reason to spend money here which is great. Where the game falls short is with its match-making system that can’t seem to balance matches properly. Albeit it’s still early days, having a working match-making system is crucial towards building a thriving player base, whilst keeping the game fair and competitive for all. Currently, the system has a tendency to pair new players with very experienced opponents, and fills the empty slots with bots. This makes some matches incredibly one sided. Thankfully this doesn’t happen very often but when it does it gets really frustrating. Speaking of bots, Heroes Evolved also lacks a decent comp stomp versus the AI. There is one co-op mode which pits you solo with AI teammates against bots, but you can’t chose their difficulty level and are left with the default setting which seems to be above normal. This makes the practice mode harder than it should be. It’s great for experienced players wanting to keep sharp, but bad for newer players who want to practice. 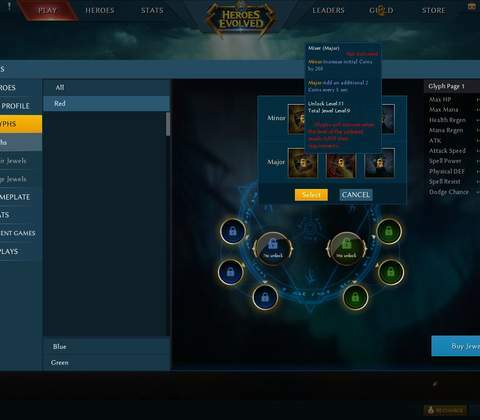 As a MOBA, Heroes Evolved is a great alternative in the genre as it keeps the familiar gameplay solid while introducing some fresh mechanics such as simplifying stats and its Glyph RPG system. Players looking for something different will find it here, without sacrificing the competitive nature of matches and large pool of heroes to experiment with. While some early release issues remain, expect Heroes Evolved to only get better with each update. Ready to enter the world of Heroes Evolved? Click here to play now! 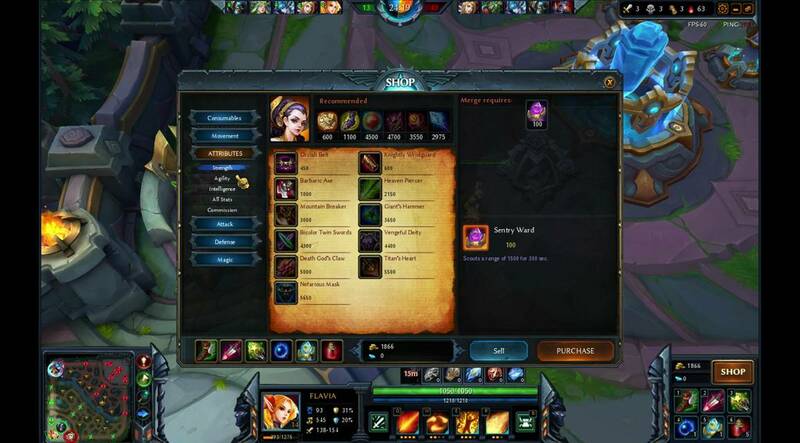 The Glyph system that allows you to customize the way your heroes perform in matches is refreshing for a MOBA in genre that's getting stale.